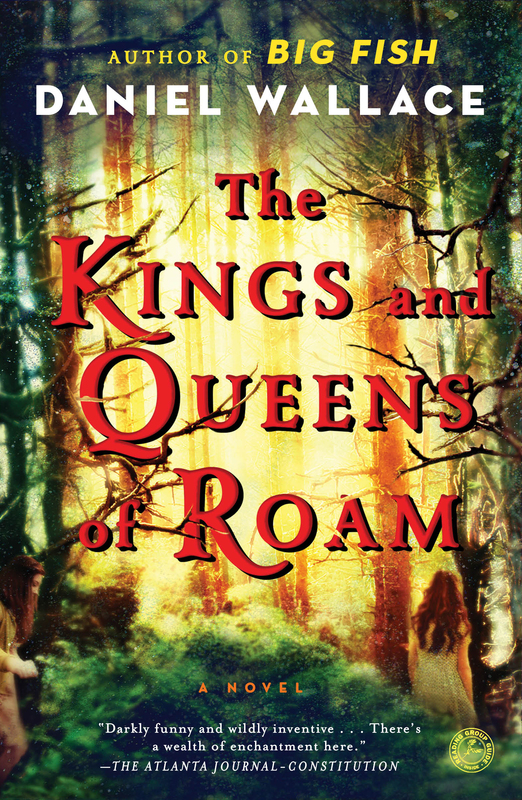 This reading group guide for The Kings and Queens of Roam includes an introduction, discussion questions, ideas for enhancing your book club, and a Q&A with author Daniel Wallace. The suggested questions are intended to help your reading group find new and interesting angles and topics for your discussion. We hope that these ideas will enrich your conversation and increase your enjoyment of the book. Inhabited by ghosts and wild dogs, mysterious lumberjacks and Chinese immigrants, and set in a wild place where rivers are magic and the forest is intent on claiming what was once its own, Daniel Wallace’s new novel is a powerful and imaginative story of two sisters, Helen and Rachel McCallister, and the dying town in which they live. Rachel is blind and has relied on Helen all her life, and Helen has both resented and taken advantage of her sister. But when Rachel strikes out on her own, both sisters discover that neither they nor the world in which they live are everything they believed, and that love and forgiveness can sometimes come at a cost. 1. Wallace writes that Rachel and Helen “were known simply as the girls…the wonder of it was that they were thought of as girls at all, and not simply girl.” (4) Are Rachel and Helen as close as the townspeople of Roam perceive them to be? How do their inner lives differ from that perception? 2. How did you feel about the stories and lies Helen tells Rachel? Could you understand Helen’s impulse to have “just a bit of fun” (8) or to rewrite her own history? At what point did Helen’s storytelling cross the line? 3. At the beginning of the book, Wallace writes that “Helen tried to love [Rachel], but there were just too many things that got in the way.” (18) What were the impediments to her love? By the end of the novel, does Helen love her sister? If so, what prompted the change? 4. How was your reading enhanced by the magical or larger-than-life aspects of the novel? In what ways is Roam an otherworldly, uniquely fictional place, and in what ways does it seem an authentically American small town? 5. What did you make of the ghosts or “old timers” who live in the town? Why are they unable or unwilling to leave? What is the significance of them finding homes? 6. Dogs appear in many scenes throughout the novel. What role do they play or what might they represent? How do they contribute to the atmosphere and folkloric quality of the novel? 7. When Helen leaves Rachel alone for the first time to go for a drive with Jonas, how does the sisters’ relationship change? In what ways is Helen’s sense of self dependent on Rachel’s need for her? What does Rachel hope to accomplish by going out on her own? 8. Why does Digby stay in Roam when so many others leave? Why is his bar so important to the “old timers”? Why can he see them when others cannot? What draws Digby to Helen? 9. What do you make of Helen’s transformation after Rachel’s disappearance? What purpose does the church serve for Helen? What does she pray for? 10. What prevents Markus from telling Rachel about the river water? From being honest with her about the Valley? Was Rachel better off when she was unable to see the world around her? 11. Ming Kai tells Elijah that no good will come of his plan to build a silk factory, and that their children’s children will suffer because of it. Is the suffering of Helen, Rachel, and Markus the result of Elijah’s actions, or is it their own doing? How does the past influence the present throughout the novel? 12. Consider why Ming Kai is able to forgive Elijah while Rachel cannot forgive Helen. Was one more unforgivable than the other? Was one more contrite? Would you have been able to forgive them? 13. Profound love influences many of the novel’s characters. Consider Jonas, Rachel, Markus, Smith, and Helen. What does love compel them to do? When was their love trumped by selfishness? When was it the most unselfish? 14. With Roam, Elijah McCallister fulfilled his ambition to “create a new world, something he could embellish or destroy to his heart’s content.” (20) Where else does the theme of invented worlds appear in the novel? When is the idea of creating one’s own world positive and when does it have negative repercussions? 1. Ask each member of your group to think in advance about their own sibling relationships, if they have them. Use these questions to spark a discussion related to the novel: when were you jealous of sibling? When did you do something hurtful, or have something done to you? How easy is it to forgive a sibling? 2. Consider reading one of Daniel Wallace’s other novels, or even watching the movie adaptation of Big Fish. What similarities do you see in the storytelling or imagery? What was the inspiration for the novel? Which character or plot element came to you first? Neither: it was a single sentence -- the first sentence of the book. “Rachel McCallister and her sister, Helen, lived together in the home they grew up in, and as far as anyone could tell (Rachel and Helen included) this is where they would die as well.” I don’t know how many years ago I wrote this, but until I started thinking about the book in earnest this is all I had to go on. I wrote that sentence without knowing anything about Rachel or Helen, about Roam, about Elijah and Ming Kai; all I knew is that somewhere out there another sentence was waiting to come after it, and after I wrote that second one the third, the fourth, the fifth . . . The novel concerns the relationship of two sisters. Do you have sisters? What do you think distinguishes a sisterly relationship from other familial relationships, such as that of a parent and child or of brothers? I had three sisters, no brothers. My sisters were very useful to me starting in about eighth grade when I wanted to understand what girls actually were, what they were thinking and feeling as I hounded them, my potential love interests – or like interests – for attention. They shared their womanly secrets with me. Didn’t really help. How did you land on the idea of a silk factory and Chinese immigrants in the middle of the American wilderness? It seems an unusual combination, but it’s fascinating. See answer #1. I write a sentence about two sisters and eventually I have to give them a town to live in. But after that things start to get complicated. More characters are introduced, and they have their own story, and ultimately the stories have to collide, and when they do I want it to be a friendly collision, the way peanut butter and jelly collide to make a great sandwich. Silk, immigrants, wilderness, sisters: it all seemed to make sense to me. At the beginning of the book, Ming Kai declares that their children and children’s children will suffer because of Elijah’s ruthlessness. How do you feel about the notion of fate and about inheriting our ancestor’s choices or mistakes? If you ask me, as you have asked me, I would say that everything’s connected. Nothing happens for a reason, but when the pebble is thrown into the pond the radiating circles touch us all. Does that sound like a Zen koan? My apologies. The theme of inventing or imagining our own worlds runs throughout the book. Why is it so significant for these characters? Do you think of writing fiction as the act of creating a world? To a greater or lesser degree, this is what we all do: we tell a story about our life and we’re the main character in it. This is what fiction does too, the difference being that fiction makes sense, and our lives generally don’t. How did dogs come to have such a presence in the novel? What do they represent? Are you a dog person? Everything is better with a dog in it, especially books. I have two dogs now, and have had ten. Long story. It seems both tragic and ironic that Rachel is happier when blind, though of course Helen is partly to blame for that. Do you think it’s easier to be naïve or innocent and happy? Absolutely. The less I know about something the better. Ignorance makes for a simple life. Markus lies to Rachel, partly out of selfishness and partly to protect her. When do you think it’s acceptable to lie to someone we love? Not sure. Let me ask my wife. How do you see The Kings and Queens of Roam as different from your other novels? 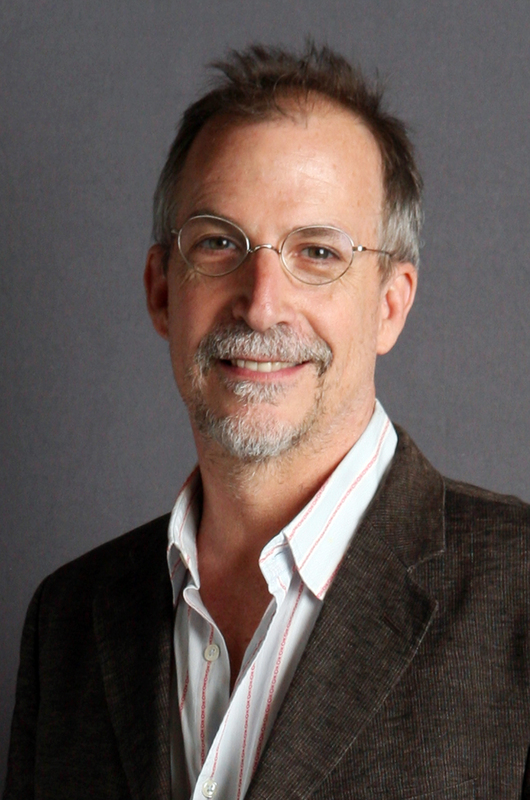 I think that every novelist strives in the books he writes to create a world all its own, something self-sustaining, an idiomatic ecosystem – a world brand new and dangerous that feels, at the same time, familiar, warm, hospitable, a place a reader might want to hang out for a while. Doing both: that’s the Big Trick. This is why, to the degree I succeeded doing it, I think of Roam as my first novel: it’s a place you’ve never been to before, and neither have I.